This is Part 7 of Dr. Ronn Johnson’s guest series. If you would like to catch up with any of the previous installments, the archive is located here. 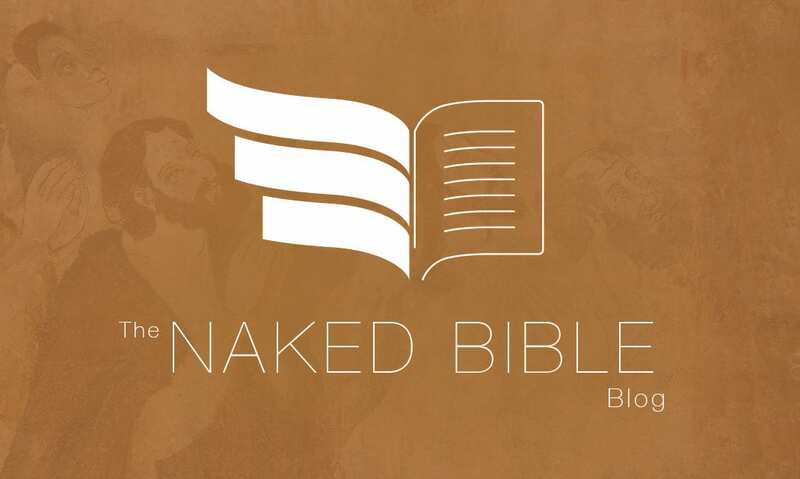 It was great to meet many of you at the first annual Naked Bible Conference in Dallas. I hope to see you next year as well. In email conversations I have been having with readers of this series, I sense that I am often causing questions which will be answered in future posts. This is good, and I have enjoyed practicing some of my thoughts ahead of time in my email replies. It shows that we are probably going somewhere worthwhile. It also prods me to move at a faster pace, and toward that end I will try. These next three bricks are pivotal to where I’m eventually going, however, so I want to take some time with them. Many evangelicals would be surprised to see this brick on their wall, and most evangelical scholars would deny that this idea has ever been made into a brick at all. Our tradition has been careful to avoid saying that an OT priest—or any priest for that matter—could affect the spiritual state of a worshipper. Put positively, we are Protestants; we believe that a person in both testaments can be right with God only through their individual faith, and that bare rituals or ceremonies play no role in a person’s salvation (e.g., “Animal sacrifices, of course, cannot ultimately save” [Thomas Schreiner, “Penal Substitution View,” in The Nature of the Atonement [IVP, 2006], 85). I agree with our tradition on this point. So how can I make the claim that evangelicals do believe that priestly actions in the OT played a role in salvation? The answer comes in noticing that this brick quietly functions as a support to another just above it, a shiny brick which gets a lot of attention. It reads Jesus’ priestly actions (sacrifice, atonement, etc.) played a role in human salvation. We will talk about this brick shortly. The logical connection between these two bricks becomes clear as we realize that the higher brick is taking its cue from the lower: since Jesus’ priestly actions in the NT were salvific—principally in his atoning sacrifice—it stands to reason that OT priestly actions must have been salvific as well. We can assume that the evangelical is trying to be consistent in describing what a priest did, or the effect that his actions carried, across both testaments. The challenge to this brick is fairly obvious. The OT nowhere ties righteousness (Heb., tsedaqah) to priestly activity and numerous OT stories tell of people who were considered righteous without a priest or tabernacle in sight (Noah, Gen 6:9; Abraham, Gen 15:6; the inhabitants of Sodom, Gen 18:23; exiles in Babylon, Ezek 3:20, etc.). Evangelicals must give theological account for the long stretches of time (the exile is our best example) when Jewish priests and their sacrifices were not available to God’s people. In believing that righteousness was by faith we are forced to admit that access to a priest did not affect one’s ability to be right with God. I am not aware of any argument by evangelical scholarship that contradicts this rather simple point. So I believe it is safe to toss this brick aside and deal with another closely related to it. Most evangelicals put a lot of thought, even a lot of weight, into this idea. Here is a sample quotation: “The citation in Heb 10:6-8 [of Ps 40] is particularly significant where burnt offerings, in association with other offerings, are shown to be inferior to the sacrifice of Jesus Christ, who offered himself as a sacrifice for sin once for all (Heb 10:1-4, 10). This suggests that the sacrificial system and particularly the burnt offering foreshadows or typifies the death of Christ for sins” (Mark Rooker, Leviticus: An Exegetical and Theological Exposition of Scripture , commenting on Lev 1:4). 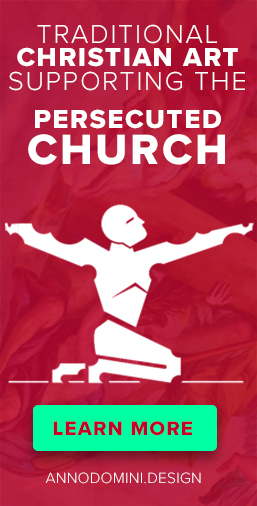 Rooker uses the words “foreshadows” and “typifies” where I am using the word “prefigured.” The larger point is that evangelicals have traditionally interpreted OT priestly activity as predicting what Jesus would someday do, and they believe it is important for the reader of the Big Story of the Bible to catch this connection. But there is a potential problem with this idea, or at least something to think about. It is probable that the idea of a priest—a person acting as a divine/human intermediary or arbiter —was not invented by God at all. Instead, the idea seems to originate along with sacrifice and other religious practices within ancient cultures which pre-dated Israel (see Part 5 in this series). Recall that divorce law got into Torah not because God invented divorce but because human experience led to the need of clarifying the practice (Deut 24:1-5; cp. Matt 19:8). The same can also be said for the origin of slavery law (cp. Exod 21:2) and polygamy law (cp. Deut 21:15). The point is that many things find their way into Torah which were not of divine design, but of human design needing correction. And recall where priests show up in the biblical story: like sacrifice, they appear well before Moses (e.g., Melchizedek in Gen 14:18; Joseph’s father-in-law in Gen 41:45). Add to this that the instructions for the priesthood in Torah compare closely with earlier pagan law codes (Code of Hammurabi, etc. ), and we are led to the likely conclusion that the origin of the role of a priest is simply religious tradition. It was how humanity decided to establish and maintain contact with the world of the gods, and not how God decided to establish his contact with mankind. So how does this realization affect our understanding of this brick? In a word, priests are not as important to the biblical story line as we have traditionally made them out to be. A man like John the Baptist, whose father was a priest (Luke 1:5), could completely withdraw from Temple/priestly activity and still function as a righteous man (Matt 11:11; 21:32). Jesus instructed a person to visit a priest on a few occasions (cp. Matt 8:4), but this was never for the purpose of getting right with God. All this happened before the crucifixion, of course, which negates the common argument that Jesus’ death fulfilled or abolished the need for future priests. The relative unimportance of the priesthood becomes a developing (but clear) story within the Bible’s larger narrative, extending well back into the days of the OT. So I think this brick can remain, but its wording should be softened a bit: Priestly actions in the OT will be compared to Jesus’ future priestly actions. The connection between Jesus and the priesthood is that of simple association, not fulfillment (we will deal with Hebrews 5-10, the lone passage that makes this association, later; we should note that the author of Hebrews never uses the word we commonly associate with fulfillment [pleroma] anywhere in his book). Of course, we do have many NT passages which seem to describe Jesus performing priestly functions on our behalf (1 Pet 2:24, “[He] bore our sins on the tree”), and for those we must give account. So let’s get right to our next brick—the shiny one I had mentioned earlier. Almost every gospel presentation you have ever heard has been based on this brick. When someone says that Jesus “paid for your sin” or “propitiated God’s wrath” or “bore your penalty of hell” he is appealing to what he believes to be the primary effect of Jesus’ priestly work on your behalf. (This is commonly referred to as the “finished work of Christ,” a concept which traditionally investigates the meaning of Jesus’ death as opposed to his life.) As stated, this brick claims that Jesus’ actions as a priest make a difference to our spiritual status before God, even our salvation. This is quite an assertion. So let’s consider this idea more carefully. It is good to remember that Jesus was not a Jewish priest. He did not qualify for the office, born of Judah instead of Levi, and he never referred to himself as a priest (cp. “Go show yourselves to the priests,” Luke 17:14). Nowhere in the book of Acts, nor in the writings of Paul, is Jesus referred to as a Jewish priest. Writers of the NT often describe Jesus acting as a priest, however, especially when interpreting the meaning of his death. As a matter of history, by the way, I think a Jesus-acting-as-priest idea would not have been surprising to the original audience of the NT, even if they knew Jesus did not qualify for the office. Herod’s temple was full of non-Levitical (and even non-Jewish!) priests, as the king had imported Egyptian and Mesopotamian priests to serve out their functions. The office of the high priesthood was no better, with the position known to go to the highest bidder. So no one would have been theologically offended to hear of Jesus the carpenter acting as a priest even if he failed the ancestral test. The sheer size of this list reminds us that one of the most important bricks on our Big Story wall will be the priestly function of Jesus, especially in relation to his death. Something very important happened at the crucifixion! But here is where things commonly go askew. If we are not careful, we may presume that our salvation is based on phrases within this list (e.g., “forgiveness of sins,” “reconciled to God,” “place of mercy for our sins”). For remember where we just were: in the OT, a priest did not function in a saving capacity. That was not his role. Nor did he grant the ability for someone to become righteous. If we are going to interpret Jesus’ priestly role as affecting our salvation, we need to realize what we are asking for—a vast change in how Israel’s story works, a change in how Torah works, and even a change in how the whole Bible works. So now our simple lexical experiment has given us something a bit more substantial to work with: There are six NT passages which textually combine Jesus’ priestly activity with human salvation/righteousness. In deciding what to do with this shiny brick let’s think through these passages, considering whether they include the idea that Jesus’ priestly actions (sacrifice, atonement, etc.) played a role in our salvation. Romans 5:9-10: In these dense verses Paul combines four ideas into two, and then notes (through the use of changing verb tenses) that the first concept, once completed, leads to the opportunity to participate in the second. The first concept—being “approved by Jesus’ blood” (5:9), paralleled with being “reconciled to God” (5:10)—describes the ritual cleansing performed by a priest which permitted a person to move forward/inward during the process of worship in a temple. Paul is falling into line with every other religion of his day in believing that a person needed to be sanctified or “holy-fied” in order to approach a deity, including the God of Israel. Jesus’ blood sanctifies his Roman audience, thought Paul, mirroring the blood of the sacrificial lamb in the OT. But approaching Yahweh came with a purpose. Paul ended by saying “we shall be saved from wrath through him” (5:9), speaking of trust in the living Jesus, paralleling this with “we shall be saved by his life” (5:10). Paul’s point was that the effect of Jesus’ death, a past event of ritual purification, provides our approach into God’s presence and thus our future salvation. 1 Thessalonians 5:9-10: Paul is clear that the person who is responsible for our salvation also died. There’s certainly shock value in that idea. What he is not clear about in this verse is how Jesus’ death affected our salvation. So I will leave this passage alone, as it cannot be argued in any one direction. Hebrews 7:24-25: Our salvation is won through Jesus, our eternal priest. This interesting word picture—“those who come to God through him”—details how the ancient world thought of the process of salvation. In order to be saved by a deity, one needed to supplicate him or her, and supplication was usually preceded by ritual sanctification. This is what Jesus now does for us. We come to God, for salvation, through the ritual cleansing of Jesus. Hebrews 9:28: Those who wait for Jesus are saved, presumably meaning that only the Jesus-loyalist is the one who will gain eternal life. Jesus’ priestly activity is not the subject of discussion in this verse. 1 Peter 3:18: We often picture getting to heaven as getting across a great divide (hell), with a person wanting to get from one cliff to another (heaven). Salvation is pictured as Jesus’ cross spanning the divide, enabling us to walk across Jesus’ sacrifice to get to heaven. I would recommend changing out this picture for something that fits the ancient Near East mind much better: think of a building (say, a temple) in which the goal is not to get across but to get in—and then to move increasingly in until you confront the deity with whom you want to fellowship, or by whom you want to be accepted. Crossing sacred space, or approaching a deity, was considered the most dangerous thing a human could ever do in the ancient world. And so this is why Peter paints this picture for us. Jesus can now “bring us to God,” giving us confidence to approach Him after being atoned/cleansed of our ritual impurity. So what about this brick? Do Jesus’ priestly actions, such as his atoning sacrifice, play a role in our salvation? Here is where things get tricky. I would say yes and no, depending on what we do with the subject of priestly ritualistic cleansing. I would say yes if our approach to Yahweh for salvation required prior cleansing. On the other hand, I would say no if we should interpret this cleansing as a matter of religious/cultural tradition. I realize that a lot of theology rides on where we go with these two options, so I would like to dedicate my next post to working through them. Until then hang on to this brick. In closing, I want to affirm the importance Jesus’ death to the larger story of the Bible. I believe he needed to die by the will of the Father to complete our salvation. As a separate issue, I believe that Jesus’ actions as a priest are also critical to the Bible’s explanation of salvation. The challenge remains in sorting through how these ideas (priesthood, sacrifice, cleansing, death, salvation, etc.) relate to one another. Our goal is to explain them to the liking of the original writers and readers of the Bible—what the Naked Bible website is all about! Thanks for listening, and I welcome your emails to ronnjohnson7@gmail.com. I will certainly reply.